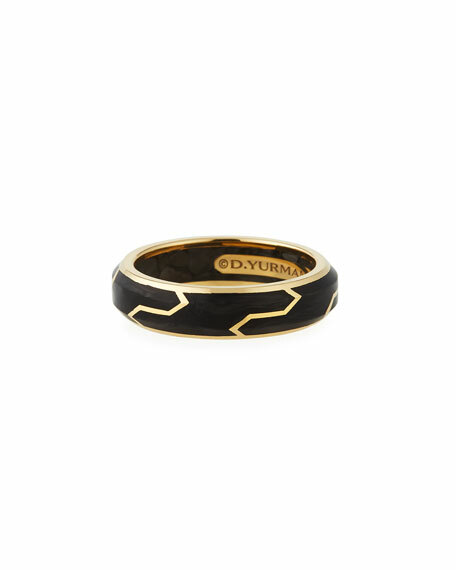 David Yurman 18-karat gold band ring. David Yurman men's ring from the Anvil Collection. Sterling silver & stainless steel. Circular rivet stations. Approx. 0.3"W (8mm). David Yurman men's band ring from the Cable Classics Collection. Signature sterling silver with 18-karat yellow gold cable inset. Approx. David Yurman men's band ring from the Cable Classics Collection. Signature sterling silver with 18-karat yellow gold cable inset. Approx. 8mm wide. David Yurman men's ring from the Hex Collection. Blue rubber band. Sterling silver station. 7mm width. Made in Italy. 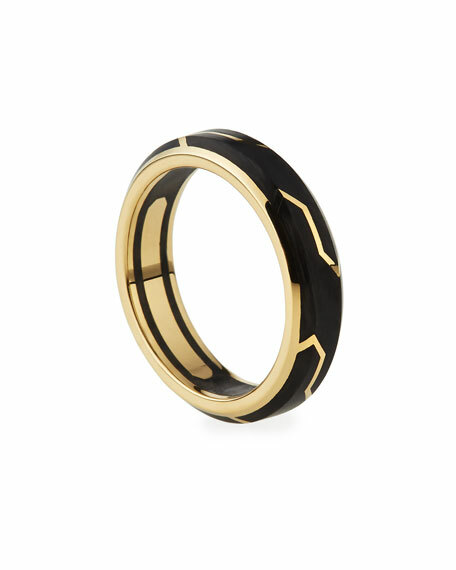 David Yurman band ring from Streamline collection. Approx. 0.2"W (6mm). 18 karat yellow gold. Imported.